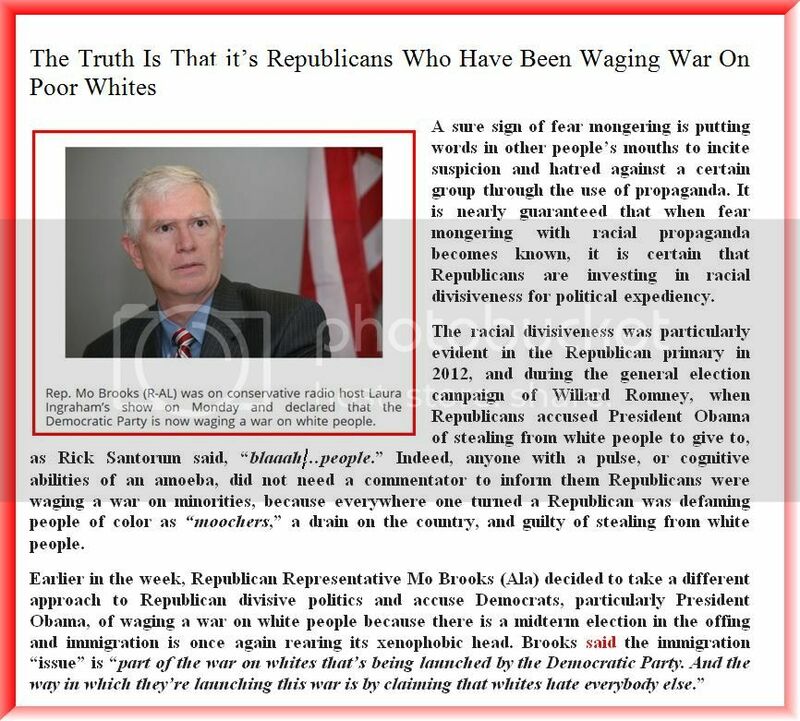 WAR ON WHITES? It Can't Get Any More Outrageous Than This! War huh yeah, What is it good for? Are You A Binge Worker? The Saddest Christmas Image EVER! The GOP Turned Political Debate Into A Joke! It Can't Get Any More Outrageous Than This! Oh who am I kidding of course it can. Rand Paul To Make Abortions UNSAFE! RIP 1965 VOTING RIGHTS ACT! Not Human! Picture of the Day. CAN YOU KEEP A SECRET? GOP to See Poor Children Go Hungry. GOP Tea Party Cretins Jump The Shark! Fanaticism Winner - Common Sense Loser! The GOP Afraid Of Gun Control? Sell.The Right To Vote, A Long Hard Struggle. Obama To Give The GOP A Lollipop? GOP Acts Out The Terrible Two's . >live without becoming an old jackass. Read Agenda 21, Glenn Beck's novel? Hey Mitt, Can You Handle More Truth? Mitt, A Dose Of Truth, Can You Handle It? Is Romney's Brain About To Blow?